Don’t miss your chance to get up close and personal with trophies from the Hockey Hall of Fame! 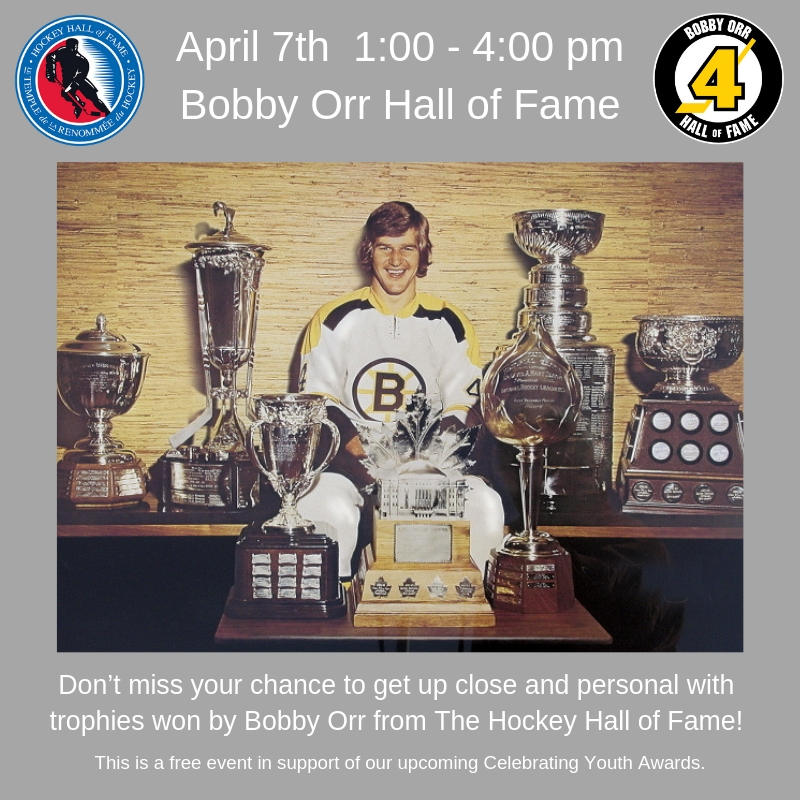 On Sunday April 7th from 1:00-4:00 pm, representatives from the Hockey Hall of Fame will be at the Bobby Orr Hall of Fame with a selection of trophies won by Bobby Orr. You’ll learn a little about the trophies and have the chance to take your photo with them. The Bobby Orr Hall of Fame will offer free admission for those under 18 years of age and 1/2 price admission for adults/seniors. This is a free event in support of our upcoming Celebrating Youth Awards. For more information, please contact Caitlin Dyer, Bobby Orr Hall of Fame Curator at (877) 746-4466 ext. 208 or cdyer@bobbyorrhalloffame.com.